Some days it is a real struggle trying to get dressed for work and I often find myself daydreaming of a financially limitless, bigger and better wardrobe. But the reality is, I need to make do with what I have, so creativity is key. Take this outfit for example, I took a plain black maxi dress and threw one of my favorite sweaters over it to style it as a skirt. To give it a more polished elongated look, I paired it with an elastic belt worn at my natural waistline, and Voila! Talk about versatility! Boring black dress is now a complete outfit as a skirt. I wish these pictures turned out a little better, but I guess that's what I get for using my cell phone on a cloudy/rainy day and not my good camera. I think it's time I break down and buy a new battery charger so I can start using the DSLR again. 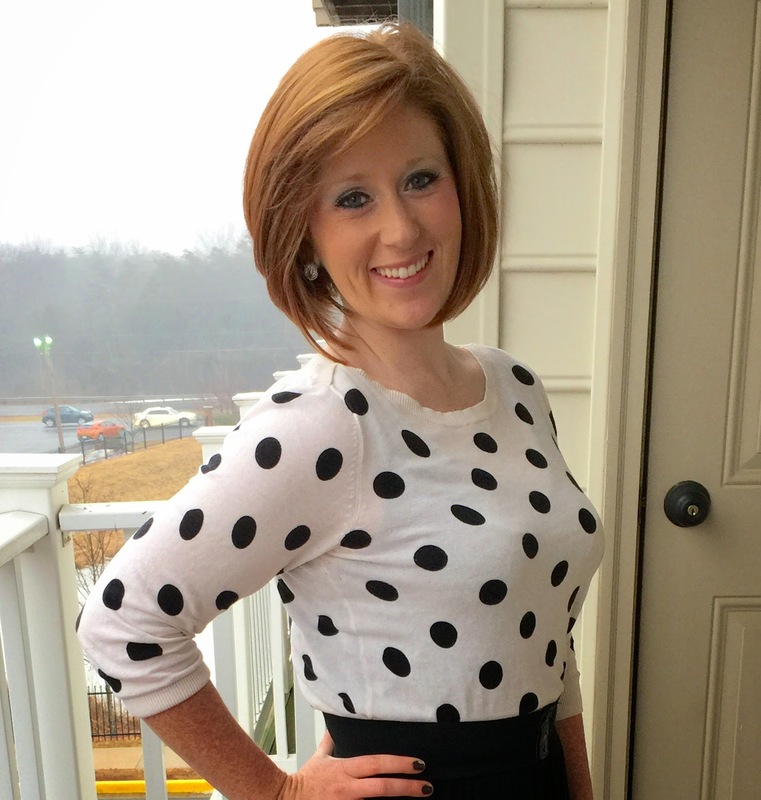 Linking up with Lindsay @ The Pleated Poppy for What I Wore Wednesday! Love the black maxi skirt with that pretty large dotted top. Looking great Melissa.